« Vopli Vidopliassova Charity concert in SF! PLEASE SAVE THE DATE! Yaroslav Hrytsak, a leading Ukrainian historian, will be visiting SF this month. He is one of the most influential thinkers and speakers on the Jewish history of Ukraine, Holocaust and Jewish-Ukrainian relations in Ukraine today. Stay tuned, we will add registration details next week. You will need to pre-register as the space is limited. Dr. Hrytsak is a Professor of the Department of Modern and Contemporary History of Ukraine at the Ukrainian Catholic University in Lviv, where he is also a Director of the Jewish Studies Program. He is a visiting professor of the Central European University and an honorary professor at the National University of Kyiv-Mohyla Academy. Thousands of people took his free online course on Modern History of Europe when it was offered on Prometheus platform. 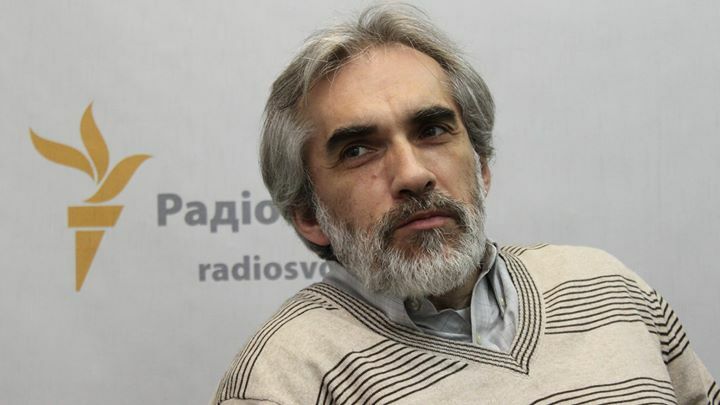 Yaroslav Hrytsak regularly speaks at international conferences on issues of Holocaust remembrance; he is a co-director of German-Ukrainian Historical Commission. He is also Chief Editor and founder of the scholarly journal “Ukraina Moderna”, and an author of a number of books and articles on history of Eastern Europe, he has been listed among 100 most influential Ukrainians.